An elegant nod to "Float like a butterfly, sting like a bee." They are visually striking, and look best as a pair. 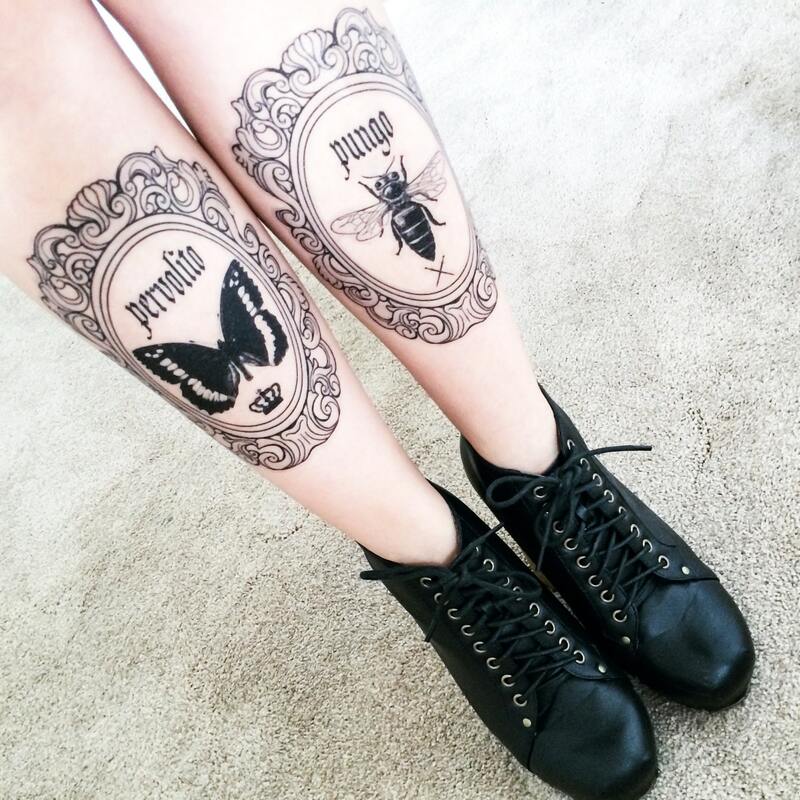 The first time I wore these a neighbor told me "I don't even like tattoos. But I LOVE those." "Pervolito" and "pungo" translate to "float" and "sting" in latin. The insect graphics were adapted from antique insect study illustrations. Approximately 8" high and 5.5" wide.